The environment ministry has handed over 180 out of 200 waste bins donated by the Chinese government to the Housing Development Corporation (HDC) for use in Hulhumalé. Speaking at a ceremony held at the HDC office today, environment minister Thoriq Ibrahim urged residents of Hulhumalé to make use of the bins and keep the beaches and roads of the reclaimed island clean. The waste bins were handed to HDC under the ministry’s ‘Saafu Raajje’ waste management campaign. The ministry of environment and energy has launched a waste management campaign today to raise awareness among the public. The ‘Saafu Raajje’ campaign aims to “promote public education and awareness on proper waste management and reduction of waste being thrown out on to the streets, parks and other public places and on to the sea,” the environment ministry said. The ministry is organising a clean up event at the Usfasgandu area in Malé on Saturday at 7am. Environment minister Thoriq Ibrahim launched the campaign at a ceremony held at the Hotel Jen in Malé. In his remarks at the function, Thoriq said individuals have a responsibility to keep the Maldives’ fabled natural environment clean. The lack of a proper waste management system was one of the biggest challenges facing the country’s environment, he said. Work is underway on establishing island waste management centres in 44 islands across the country, Thoriq said. The environment ministry meanwhile sent out mass text messages today with an appeal to keep public spaces clean and free of garbage. New energy saving street lights in Malé’s outer ring road and the Republic Square will save the government MVR28,000 (US$1,815) a month. Speaking at a ceremony held at the environment ministry today to hand over the lights to the housing ministry, environment minister Thoriq Ibrahim said replacing 100 street lamps in the capital will reduce electricity costs by 68 percent. “That is about 1,700 litres of oil that is being saved,” he was quoted as saying by newspaper Haveeru. Housing minister Dr Mohamed Muiz said the ministry will install the energy saving lights within the next two weeks. Thoriq said the environment ministry will be replacing street lamps in the capital and other islands under the ‘Fahi Ali’ energy efficiency programme. Senior officials of the state environment regulator have been transferred in an apparent demotion. Environment Protection Agency (EPA) director general Ibrahim Naeem was transferred to the Baa atoll biosphere reserve office while director Mohamed Musthafa was transferred to the water and sanitation department of the environment ministry. The EPA functions under the ministry of environment and energy. The move follows a government-aligned MP submitting amendments to the tourism law to transfer powers to authorise developments on resorts from the EPA to the tourism ministry. The EPA currently conducts assessments and authorises projects such as land reclamation. Following preliminary debate at yesterday’s sitting of parliament, the amendment bill was accepted for consideration and sent to committee for further review. The government is owed at least MVR45 million (US$2.9 million) in unpaid fines for environmental damage, an official audit has revealed. The owner of a Thai fishing vessel that ran aground on the reef near Shangri-La Villigili Island Resort in November 2011 has failed to pay an MVR42.1 million (US$2.7 million) fine, according to the audit report of the then-Ministry of Housing and Environment for 2011. The State Electricity Company (STELCO) still owes R3.3 million (US$214,000) following an oil spill in which a pipe buried under Malé’s ring road Boduthakurufaanumagu burst in March 2011, the report said. The pipe leaked large quantities of oil into the track swimming area, frequented by schoolchildren and the public. 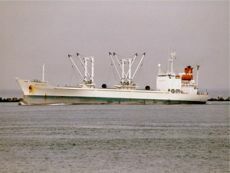 The Thai fishing vessel, Emerald Reefer, was meanwhile beached for two months in the Muli Kolhu reef. 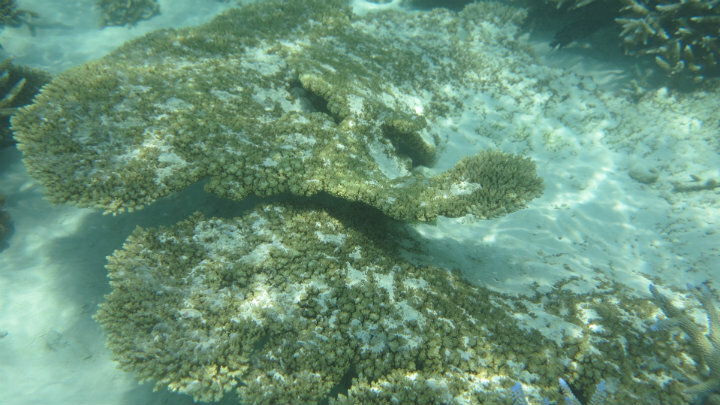 The Environment Protection Agency (EPA) said at the time that the reef was “destroyed” and was unlikely to recover in the near future. Under environmental regulations, the boat’s owner was given 25 days to remove the boat before incurring a fine of RF700,000 (US$45,000) per day that the boat remained grounded. EPA Director General Ibrahim Naeem told Minivan News today that both fines have not been collected to date, adding that the agency was coordinating with the relevant authorities. The Emerald Reefer fine was “pending” due to legal issues, he said. “Those are the just the fines from 2011. There are lot more fines that haven’t been collected,” he said. The audit office meanwhile recommended taking action in accordance with public finance regulations to collect the outstanding fines. The fines were imposed during the final months of the administration of former President Mohamed Nasheed, who resigned in February 2012, later saying he had done so under duress in what amounted to a coup. In 2012, the then-President Dr Mohamed Waheed shifted the departments dealing with the environment – including the EPA – to the newly formed Ministry of Environment and Energy. Among other cases highlighted in the report, the auditor general noted that the ministry spent nearly MVR70 million (US$4.5 million) for three infrastructure projects despite the funds not being allocated in the 2011 budget. The projects involved installing revetments in Shaviyani Feevah, road construction in Haa Dhaal Kulhudhufushi, and harbour construction for three islands in Addu City. The ministry also paid a 30 percent advance payment to the contractor in the road construction project in violation of public finance regulations, the report said. Aside from the flagged issues, the report stated that the ministry’s expenses in 2011 were legal and in line with public finance laws as well as the budget approved by parliament. The new auditor general – appointed under controversial circumstances in November – has yet to release any reports on ministries under the current administration or the Waheed administration. Environmental NGO Ecocare has expressed concerns about the implementation of government regulations to protect all species of rays, citing a lack of enforcement mechanisms. “While we welcome the government’s decision to protect rays, we have to say that simply ‘protecting’ it via a regulation is not sufficient,” said Spokesperson Maeed Mohamed Zahir. “For example, turtles and sharks are also protected as per official records. However, the reality is that they are still hunted even today. Turtle and shark meat are widely available in some atolls as a delicacy. There is no point in announcing regulations if it cannot be enforced,” continued Zahir. The Maldivian Manta Ray Project, the Manta Trust, and Save Our Seas Foundation released a statement on June 5 announcing that the Maldives government has officially added all species of ray to its protected species list. “After the successful defeat of shark finning in recent years, the announcement of full legal protection for all ray species sets the Maldives as a leader country in marine conservation and marks another crucial step toward the global protection of these magnificent, yet vulnerable species,” said Maldivian Manta Ray Project Manager Niv Froman. The Maldives has the largest recorded population of reef mantas, reports the Manta Ray Project, noting that the country has had a ban on the export of ray products since 1995. “As an island nation, the Maldives long realised the importance of a healthy and balanced marine ecosystem. Hosting the world’s largest manta ray population, this country attracts thousands of tourists every year seeking the lifetime experience of swimming with these gentle giants,” said Froman. Ecocare’s Zahir, however, suggested that the lack of an independent oversight body would further contribute to the ineffectiveness of species protection in the country. He alleged that the sole monitoring body – the Environmental Protection Agency (EPA) – is a department reporting to the Ministry of Environment and hence has no say over government actions. “The EPA has its hands tied when it comes to criticising government action. There isn’t even a committee in the parliament which is mandated to oversee environmental protection. The biggest problem we face is the lack of a strong enforcing mechanism”. Maeed further argued that mechanisms currently exist “only in name” and prove to be ineffective in practice, noting that the police force’s Environmental Protection Unit (EPU) currently has a staff of just one. The unit was formed last year to investigate and punish violations of laws relating to biodiversity and littering after similar complaints from civil society regarding implementation. A police spokesperson – while not confirming the number of staff at the EPU – said that regardless of the number of staff in the unit, all police officers will provide support when necessary. “We want to make it clear that we are not mandated to monitor whether persons follow the regulations when it comes to environmental protection. That is the job of solely the EPA and the Environment Ministry,” explained the spokesman. “Our unit is only called into action when and if the EPA reports any criminal activity related to the environment,” he explained. Environmental Consultant Moosa Athfal echoed Ecocare’s concerns, arguing that more feasible solutions might be considered. “While protection of rays is a commendable act, the question is can the Environment Ministry monitor it? There are a countless number of rays in our seas. It would not be wrong to term the action as impossible, given the country’s current mechanisms,” said Athfal. “If it can’t be implemented, then it is a pointless regulation. The best form of solution at present would be to provide relevant training to dive guides, who can then monitor such activity,” Athfal stated. President’s Office Spokesperson Ibrahim Muaz Ali directed queries on the matter to the Environment Minsiter Thoriq Ibrahim, who was not responding to calls at the time of press. The Environment Ministry’s Assistant Director Ilham Mohamed stated that she is unaware of a government decision to protect rays, while the EPA Director Ibrahim Naeem’s phone was not responding to calls at the time of publication. Laamu Atoll Gan Island Council has raised fears of an imminent “health disaster” following a severe sewage spill on the island. The spill was caused by damage to pumps and septic tanks in the sewage treatment facility. Recent rains have spread the sewage throughout the island, Gan Council President Ahmed Salah told Minivan News today. The council is trying to contain the sewage, but have received no help from any government office, Salah said. “The pumps in the system are not working, and the [septic] tank is also damaged. So when sewage effluent gathers in the tank it overflows and spills out. But this has got worse with the rainy season, the waste is being carried across the island through the puddles. And sometimes it is overflowing from the toilets, leaving houses and rooms filled with waste,” he said. The spill poses “enormous health risks,” Salah said. Exposure to sewage can cause several infections including gastroenteritis of the stomach and hepatitis. “We have asked the hospital to be on alert for a medical situation, and we have also informed the Ministry of Health and other authorities. We told them we are facing great health risks here and we have asked them to take action,” he said. According to the council similar incidents have occurred on the island during the rainy season. The 5,500 strong population is among the biggest in south central Maldives. “It was the first thing we discussed in the new council as well. We informed the ministries, we even went to Malé to bring this to their attention. We wrote to the disaster management center, but no action has been taken yet,” Salah said. The sewage system at fault is located at the new settlement of tsunami-displaced population that moved to Gan from Mundoo and Kalhaidhoo Islands in 2007. The sewerage project was funded and implemented by the International Federation of Red Cross Societies (IFRC) as part of their tsunami recovery work. After the project was completed, it was handed over to the government of Maldives. Salah said no one has taken ownership of the system since it was handed over and said he believed the spill had taken place due to lack of maintenance. “No one took the responsibility for managing it. The council doesn’t have the financial capacity to handle it, and without any ownership and repair it eventually broke down. We have discussed the issue with Fenaka [state-owned utility corporation] as well, but they won’t take charge until the system fully repaired. Their estimated cost for repairing it is above MVR1 million (US$ 64,850),” he said. The council is now trying to manage the situation by using a mobile tank called bowser to drain the waste into the sea. The bowser was donated as part of the sewage system. “It [the bowser] has a very small tank, even with 20-30 rounds we are unable to drain it to a level where people can use the toilet. We are trying to find a way to control the situation even if it is by pumping it all in to the sea,” he said noting that some households are not using the toilet. When the council approached the National Disaster Management Centre (NDMC) for a solution, the office said they could not offer any help as the sewage spill cannot be considered a disaster. Speaking to Minivan News today, an NDMC official confirmed that the situation cannot be considered a disaster as it had developed gradually. The NDMC said the sewage project was the responsibility of the Ministry of Housing. However, the Housing Ministry has said the Ministry of Environment and Energy was responsible for the project. The Environment Ministry was unable to comment on the issue at the time of publication. A MVR85 million sanitation facility is being built on Gan Island for areas that do not have a sewage system with assistance from the French government. Salah said the council has proposed to join the old and new systems, but experts have said the task is impossible as the two systems are incompatible.